What is Rosemary Beach ? A fancy way of describing it to someone who has never visited might be “an award winning, master planned coastal community that blends pedestrian with mixed use retail/restaurant/loft condominium/luxury homes all within an “archiscape” of European design. Whew! That’s quite a mouthful. What works best for us, as real estate agents, is to encourage people to visit and spend time there. 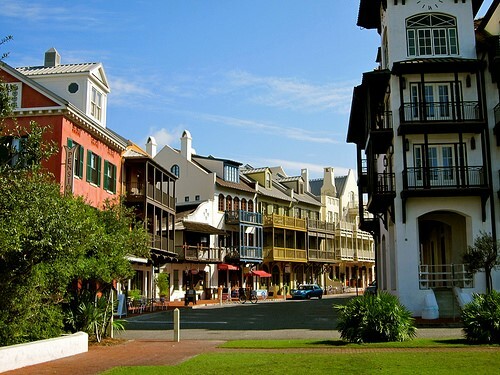 Rosemary Beach is so unique and diverse that it is almost impossible to describe it in words. It’s like trying to describe all of South Walton County to someone who has never been here! 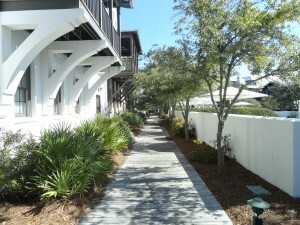 Rosemary Beach Real Estate has become the most luxurious and sought after along Hwy 30a. With a vibrant town center and strong European flare, buyers and vacations flock to the area. 2 and 3 bedroom Condos,located above bustling restaurants and stores are positioned both on the North and South side of town center. There are hidden courtyards, butterfly gardens, water features and manicured green spaces located all around the community. Rosemary’s Gulf front offers a variety of Luxury homes, all with magnificent architectural details. There are real estate options for everyone including condos, town homes, private residence club(timeshare) to some of the most luxurious homes along Scenic Hwy 30a.